Nice work, Kevin! This is a most interesting account. Kevin: You are delving far too deeply into small details. OK, you have partially disproved Karl Pflock about Frankie Rowe's father and the fire dept. But this is not really the point at all. There were, it seems to me, far too many people in on the alleged top secret crash. Take Chester Lytle. Why should he have been told; why was he privileged to be given this dope? Likewise Dan Dwyer. The same applies to Wilcox the sherriff, and countless civilians and lowly military personnel years later. Here we have this amazing supersecret event which must be hidden at all costs from the public; yet over & over again people keep popping up who 'knew' the truth, either because they were told at the time or years later. Is it not strange that such people have all told their story since 1980, when the first book came out? There were numerous UFO investigations & investigators, official & unofficial, in the 50s, 60s & 70s. There were NICAP, APRO, MUFON, plus plenty of local groups poking ther noses into UFOs. Yet all these Roswell witnesses keep quiet and never tell anyone anything of their sensational knowledge, until..... until a chance comes for them to get publicity in some form several decades later. Was this event really a secret or not? You cannot have it both ways. While considering this, perhaps you can explain why Blanchard (and General Spaatz) thought it more important to go on leave than to stay and learn all about the discovery of an ET craft. (Spaatz is reported as going on a fishing trip just before the Roswell story broke). Did Blanchard or Spaatz ever get summoned back to hear the great news, or were ETs considered too unimportant? It doesn't add up. The Roswell witnesses were warned to keep quiet, so they wouldn't have told anybody, outside of a few family members prior to the 1980s, when Marcel sr told his story. The impunity with which he did so presumably emboldened others, but the delay is understandable. Btw Dwyer was not "told" the truth, he went and saw himself. IMO a number of others who were told were given false information, to eventually mislead the public. I just think it is a disgrace that after 60 years they are still calling Roswell witnesses liars. Debunkers ask question that no one can answer. But to constantly impun the creidibility of the witnesses shows me how desperate they are to explain Roswell crash. Eleven witness on death bed told their families it was a ship with bodies. Explain why that was on their minds before they died. I will always believe those who had the most to loose about Roswell and about any UFO report. I'm suspicous of anything coming out of the Airforce brass, even when it agrees with my position. Slowly but surely some missing puzzle pieces seem to be falling into place. The fire dept. run always bothered me,too. I grew up in Clovis (100mi from Roswell)and knew the fire dept.there occasionally responded out-of-town,but not 40miles.Dwyer's driving on his own out to the site is not a minor detail, but a major revelation! Now,according to Walter Haut's deathbed affidavit, Col.Blanchard was not on leave;not only that but Gen.Ramey & Col. Dubose were in Roswell the morning of the press release,& they all agreed on the release as a ploy to divert possible attention away from the main crash site. It all begins to make more sense to me. Actually, it is the point. Skeptics reject the Roswell case because they say Frankie Rowe’s father was not a firefighter. But he was so you can’t reject it based on that. People say that Pflock’s book is more accurate, but it’s as flawed as any of the others because he had the will to disbelieve so the negative information is played up and the positive is virtually ignored such as the valuable testimony of Edwin Easley, Thomas DuBose, and Arthur Exon. He never did deal with these high-ranking officers, other than to say Exon was giving us rumor. Not a fair assessment of the information. And now we have this twisting of facts. 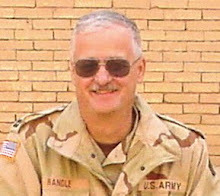 The Army didn’t tell Sheriff Wilcox about the crash, Mack Brazel did. The sheriff told the Army. And the fire department because there was a reason for the fire department to respond. So they were telling them they didn’t have to go out there... not what was out there or why, just that the military would handle it. It was Dwyer who told the retired firefighter what he had seen. And you need the lower-ranking enlisted men for guard details, check points, and for other details, and you assume, based on who you are (meaning here the only atomic strike force in the world and that all the soldiers assigned are aware of the need for secrecy) that you can use them for these details. It’s not as if you brought them all into a room to tell them... you assigned them to specific missions for the retrieval, cautioned them not to talk and went about your business. But you can’t accomplish the mission without bringing these people into parts of the operation. Chester Lytle knew Blanchard well. Lytle had all sorts of clearances. The men were friends. Blanchard had arranged for an Air Force plane to fly Lytle to Illinois when his child was born. This implies a great friendship. So Blanchard, knowing Lytle, told him of the big event in Roswell in 1947... That friendship and Lytle’s background explains this small part of the story. In my conversations with Coral Lorenzen, in my many telephone calls to her, and visits with her in Tucson, we did touch on the crash retrieval stories which she did receive periodically... but she rejected them out of hand, thanks to Silas Newton and his hoax. 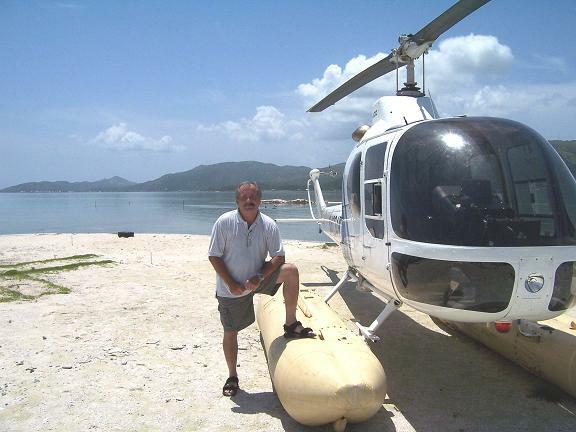 Very few in the field took the crash retrieval stories seriously until Len Stringfield began to publish his research. Some of them did talk about it, but most were ignored. We just looked at the Lydia Sleppy story, reported in 1973, but not researched until after 1990. I argued before, with Karl Pflock, that Blanchard’s leave was a ruse... That it had been scheduled for some time and to suddenly cancel it would raise questions. 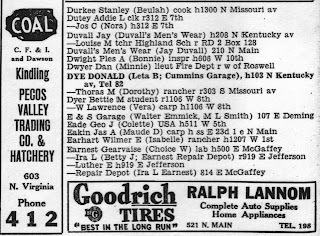 Same with Spaatz, though he was already on leave... Which isn’t to say they couldn’t control the situation from wherever they were, what with radios and telephones and access to aircraft. So, yes it was a secret, just like the Manhattan Project and Magic. People knew from the very top to the very bottom... someone had to clean the rooms and empty the wastebaskets. So, yes, I can have it both ways, given the circumstances and locked the barn door after the horse it gone. I heard of the Roswell crash while I was in elementary school in Waco TX in the early 1970s. Someone must have been talking to someone instead of keeping quiet until Marcel began to talk. I guess it's time I bookmarked your blog, and I just did. I am a regular reader of blogs, but not UFO-themed ones. I rarely see them, and then only when directed there from The Anomalist site. You're doing an excellent job of providing new material, ideas, and perspectives. The current exchange demonstrates, once more, that the belief that nothing extraordinary happened at Roswell is unfalsifiable. Every new item of intriguing evidence will be countered with a newly conjured up objection to Roswell generally. One can credit or not credit the ET hypothesis about the crash, but nobody who expects to be taken seriously, and who has any self respect, ought to be pretending that the Mogul claim is anything but the weakest, most implausible sort of fiction. The evidence for a historical mystery stands, even as hoaxers and opportunists have been exposed and fallen by the wayside. Still, the ET explanation has to confront the absence of any detectable consequence such a development would have left in the history of the past six decades. The Roswell incident is like a black hole, into which history has disappeared. Sometimes I am led to wonder if something even more anomalous happened there than we have imagined, or maybe can imagine. In any case, it continues to be a fascinating saga, and you -- and not those who've biting at your ankles all these years -- are one of the heroes of the story. 1. She witnessed the 'material' being handled by the firefighters - they tried to burn it and tear it - therefore she identifies other witnesses and the 'material' as being 'unique/unusual' . 2. A military officer ( with 'riding stick' ) threatened her and threatened her family if she mentioned this! She's 'witness' to a cover-up. Therefore it is a 'big deal' explaining this ...but Pflock interviews the 'wrong guys'. Jerry Clark: What do you mean "detectable consequence" such an event would've had? Consequences were averted by the coverup and the secretiveness, for the most part, of the phenomenon itself. Jerry is right about it being a fascinating saga. But I would not label Kevin as 'one of the heroes' of Roswell. True, he, and others, have acquired a lot of testimony and evidence and presented some of it reasonably well. I suspect, however, Kevin realises deep down that he has reached the end of the road - there is nothing new to uncover, just more titbits of anecdotal testimony, none of which furthers the ET cause. Roswell is stagnating, and will continue to stagnate unless physical evidence turns up. People can draw their own conclusions on the likelihood of that. As for the AF, they did what investigation they could after a gap of nearly 50 years. They cocked up their 'anthropomorphic dummies' case with a flawed report. We also have to compare the mogul explanation with the far greater conundrum of how a small clique of people have managed, for 60 years, to suppress the truth of arguably the greatest ever scientific discovery known to mankind. (And why and how a number of lowly placed military personnel & civilians now claim they knew the truth all along but kept quiet for decades). Yes, by all means bring in extra titbits to bolster your case, or destroy someone else's. It is not up to me to disprove every titbit, nor is it up to any skeptic to demolish each and every piece of anecdotal testimony that comes along. As I keep saying, it is the real, hard, evidence that will settle this case. If your ET case is correct, this evidence certainly exists somewhere, and in abundance. Find some of it please, and let's have it publicly displayed. Is that asking too much? Christopher Allan holds that physical evidence alone will conclusively resolve the Roswell issue. So, however, would the production of actual documents of undisputed provenance (in other words, not dubious MJ-12-style papers). Until either is produced, the case will remain an intriguing historical mystery, with every proposed solution suffering flaws of varying degrees of seriousness. 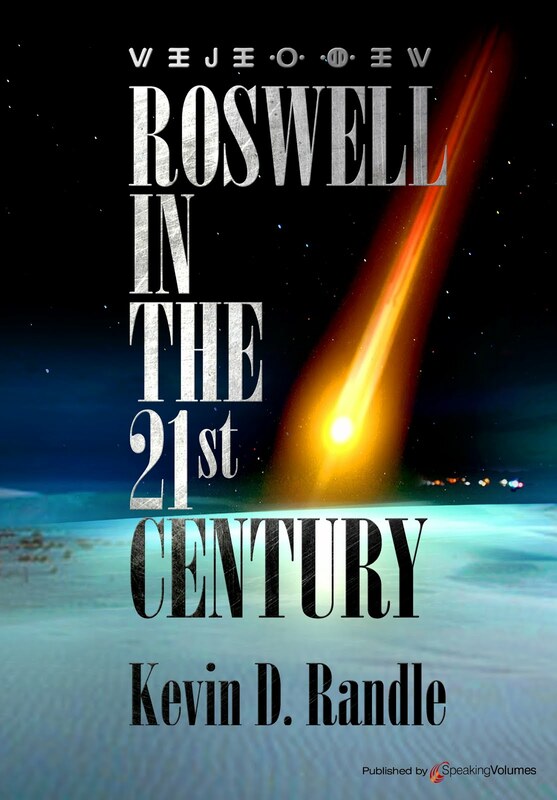 Kevin is among the heroes of the Roswell saga. His critics, whose operating principle appears to be that since this couldn't have happened it didn't and thus any absurd counterinterpretation will do, should consider themselves lucky to bite his ankles. Certainly genuine documents would suffice. By 'physical evidence' I meant to include docs or photos. Naturally any such would have to pass the strict tests of authenticity. Think only of the autopsy film, the MJ-12 stuff and those 'fragments' that popped up a decade or so ago. 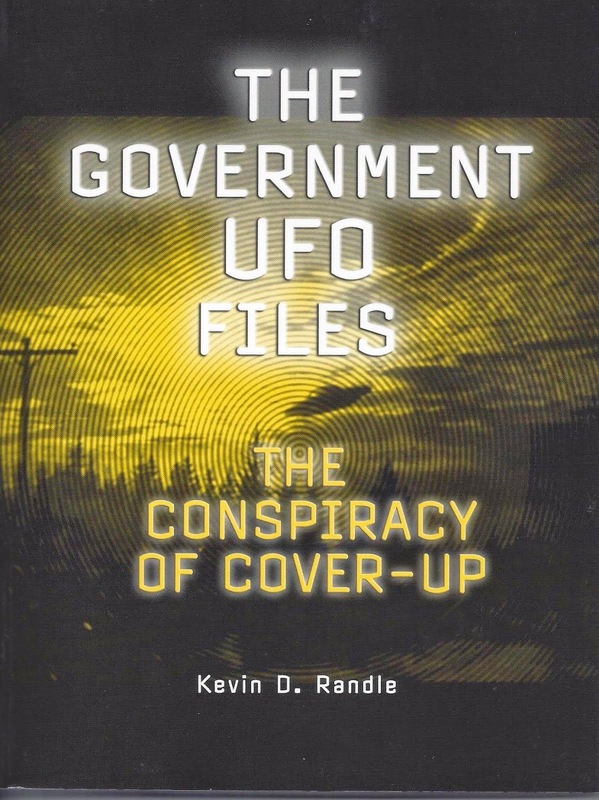 Yes, we think of them often, but remember, most of the evidence proving fraud came from inside the UFO community. We didn't reject them simply because we knew UFOs didn't exist, we came to reject them because we found the evidence that they were bogus. Buzz Aldrin on Edgar Mitchell's statements > re Roswell coverup. "He's a public figure and he's making statements, and they need to be responsibly examined." "I can't conceive of this government, in a free country, withholding information that he's alluding to." Should have been done a long time ago - but strange, isn't it, that you can search NYTimes for an interview with Mitchell about this and not find one (nor with astronaut Gordon Cooper). Why is that ? Like Aldrin says, This "needs to be responsibly examined". Where is this elusive "free country" he speaks of? It starts here: Do you believe...really believe that "Roswell" could have happened? I allow for the possibility. From his writings, guys like "cda" betray their own feelings that such an event is simply preposterous. I mean, why such stubborn, unyielding denial? The only explanation is that certain debunkers just do not believe that it could have happened, so they will never admit that it did. And any "evidence" (spoken or written) is inconsequential. To them, only undestroyable aluminum foil will suffice. Or bodies. Why did so many people in the Roswell area find out about it? Remember, back in 1947 the Roswell crash was big...and good...news! In the very beginning, the news of the crash was a revelation. We finally got one! Proof! It was only afterward that the military decided to keep it quiet under the guise of "National Security." Were civilians threatened with death if they talked? I would not put it past our government to do so, then or now. Anyone who does not allow for this is unbelievably naive. kent mcmanigal: Roswell wasn't totally forgotten after '47. See Edwards's 1967 FLYING SAUCERS SERIOUS BUSINESS. But of course very few details were revealed until 11-25 years later. 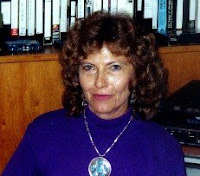 Along the lines of people at random learning about the crash early... An Ag professor I knew well at NM State U. told me that, while arrowhead-hunting on the Proctor ranch with his wife & small son in the mid fifties, Loretta Proctor was "carrying on" about a UFO crash. He said they listened politely, but "it all went in one ear & out the other". They were only there to find arrowheads & weren't interested in their host's "wild tales". He said he had forgotten all about the incident until he read about the Proctors in The Truth About the UFO Crash at Roswell. The professor is now deceased, but his wife is still living in Las Cruces and says she remembers the incident well. However, she can't recall details of Loretta Proctor's account either. Does she remember "Dee" Proctor? He was supposedly traumatized by something he saw east of the wreckage, but didn't reveal what it was. Yes, the actual crash (of an ET craft) COULD have happened. It is the subsequent withholding of this news to the scientific world and the public at large for 6 decades that could not have happened. Perhaps such a crash really did happen once upon a time, maybe more than once, in the very distant past before man existed or even since then. But in those days there was no USAF around to keep the thing under wraps, was there? If the news hadn't leaked out to some extent we wouldn't be discussing Roswell now. And don't underestimate the government's ability to keep secrets. The ULTRA secret was kept for 30 years, until 1975, even though there was no longer any vital need to keep it after 1945. My big problem with Frankie Rowe's story is that here description of the debris--as a material that "ran like quicksilver"--seems totally unlike anybody else's. Is there a single additional account that supports such a description? Also, I don't doubt that her father was a firefighter, but I do wonder why no one else--no witness, no newspaper, no written record--ever mentions a fire engine parked at the alleged impact site. It would seem that her story would need to be rejected merely for not fitting in with the general scenario of the pro-UFO version of the Roswell story. Later information, developed through other sources, including an interview with a former fire fighter answers your questions. The Roswell Fire Department did not make a run out there, based on what J.C. Smith told me, but that Dan Dwyer did, in his private car. So, there was no fire engine out there, just one more automobile.